The Great Smoky Mountains National Park was established on June 15, 1934 after overcoming numerous economic, cultural, and political issues. Today the park is the largest protected land area east of the Rocky Mountains and has become the most visited national park in the American Park System. The main entrances are located along US Highway 441. The history of the Appalachian Mountains is a precious thing and the Great Smoky Mountains National Park preserves this story. These mountains have been around for thousands of years from the prehistoric Paleo Indians to the 18th century European settlements and loggers and Civilian Conservation Corps in the 20th century. The protection of history, wildlife, and nature are very important to the park. There are many great attractions to see while visiting the park. 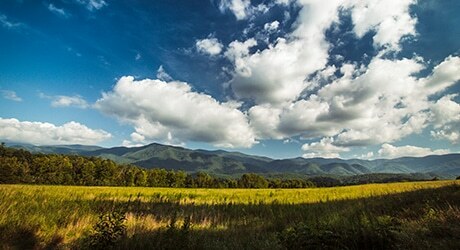 The most popular attraction is Cades Cove. 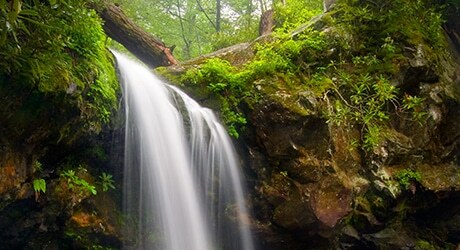 Others include: Roaring Fork, Cataloochee, Elkmont, Mountain Farm museum and Mingus Mill at Oconaluftee. Don’t forget to watch out for Clingmans Dome, the highest point in Tennessee and the Smokies. Be sure to view the park map and check the weather forecast prior to your Smoky Mountain exploration. For more information about the Great Smoky Mountains National Park, call 1-800-365-2267 or visit the National Park Service.